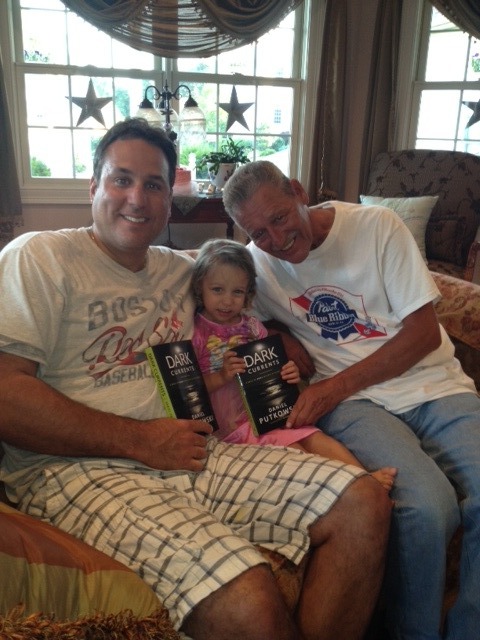 I received this photo from Jeff and his father-in-law, the D-Man, holding up Dark Currents with the little one in between. Jeff and the D-Man with Dark Currents. These are a couple of cool dudes who like to read. All the best guys and thanks for the pic! By the way, you can never start a child reading too soon. In fact, the younger the better. You can’t learn everything from a book, but you can save yourself a lot of trouble. Dark Currents is the title of my next novel. It’s a thriller set on my favorite island of Aruba. Here’s the video trailer for the book. A little scary, very intriguing, with enough twists to keep you reading to the very last page. San Nicolaas Police Chief Jules Calenda, who you met in my novels An Island Away and Under A Blue Flag figures in the story, but there’s a lot more to it than that. Suffice it to say, two people go snorkeling, one comes back, or did they? Dark Currents will be released on 26 June 2012. You can pre-order the paper version from Amazon.com or get the Kindle version on the 26th. Enjoy the story! Win an Advance Review Copy! 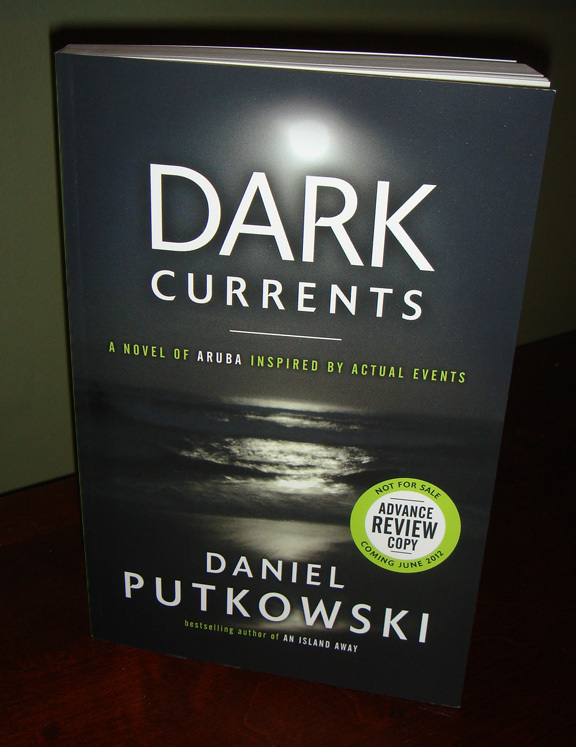 My next novel, Dark Currents, will be released on 26 June. And here’s even better news… you can win an advance review copy, the same printed version that goes out to reviewers before the official release. Here’s a look at the cover. The contest to win the book is hosted on Facebook, which means you have to go to my Facebook page and “like” me to enter. Official details will be on Facebook around noon, today, 9 May 2012. Don’t worry, it’s easy. You’ll just have to guess which beach is behind me in the author photo in Dark Currents. So, don’t delay! Head over to Facebook, like me, and enter your answer. Thanks and happy reading! This is the first book by Wambaugh that I’ve read. I look forward to several more in the same location and with many of the same characters. If you like you’re cop stories with heart, this is the book for you. Not all of it is pretty, but it is certainly realistic.